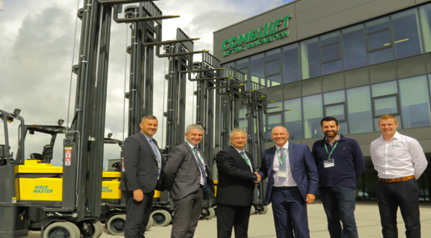 A team from Carrylift recently accompanied their partner Eddie Stobart to the new Combilift manufacturing facility in Ireland. The parties were there to celebrate the 100th Aisle-Master truck produced for Eddie Stobart being built on the production line. This machine will be displayed for a time at the company’s service support centre in Warrington before being put to work in one of its busy operations. 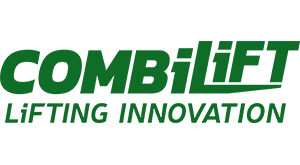 Eddie Stobart acquired its first Aisle-Master for its Contract Logistics and Warehousing Division which operates over six million sq ft of high quality state-of-the-art storage facilities. It is strategically located around major transport hubs across the UK. 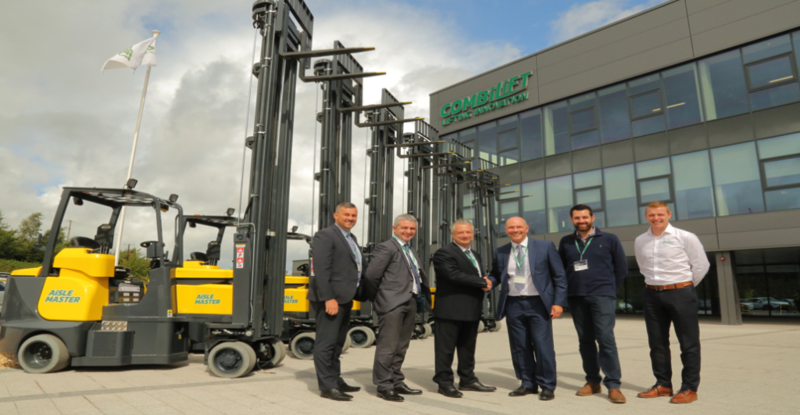 In the subsequent six years it has consistently expanded its fleet and the Aisle-Masters are in operation at eight of Eddie Stobart’s warehouses across the country supported by Carrylift, from Glasgow to London. 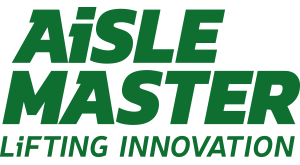 Following changes in the Eddie Stobart business model and coupled with an increase in customer demand, a decision was made to introduce the Aisle-Master product into the operation. 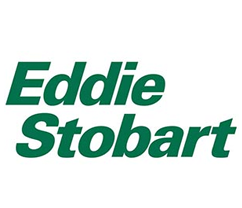 Eddie Stobart’s warehousing division operates ambient, chilled and specialist storage space for customers in the soft drinks, pharmaceutical, confectionery and FMCG sectors to name but a few. The electric powered 20WHE models with 2000kg capacity are predominantly deployed in sites where fast moving goods are stored. Eddie Stobart MHE manager Brian Smith, together with John Myers, operations manager Dagenham Depot, visited the new facility.